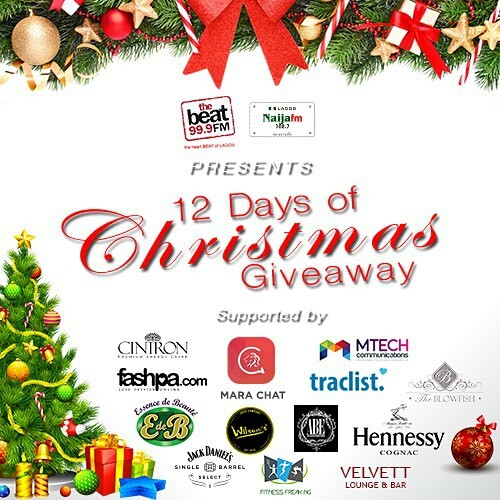 THE BEAT 99.9FM AND NAIJA FM PRESENTS 12 DAYS OF CHRISTMAS GIVEAWAYS. *Its a Season of Giveaways and i love bringing it here for Ya'all. Here is an announcement from Beat 99.9 Fm. Who's ready for our 12 days, multiple giveaways Xmas special??? *I see its a Collabo Giveaway from Multiple Companies.